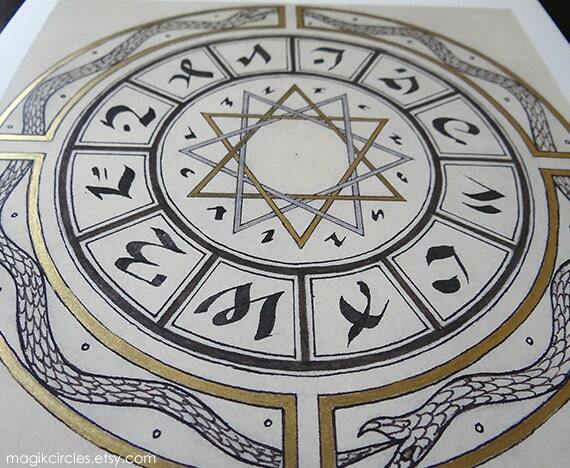 The ouroboros is often depicted as a single serpent eating it’s own tail. This image depicts two serpents locked in an endless struggle. Drawn in ink on paper with fine detail and intricacy. 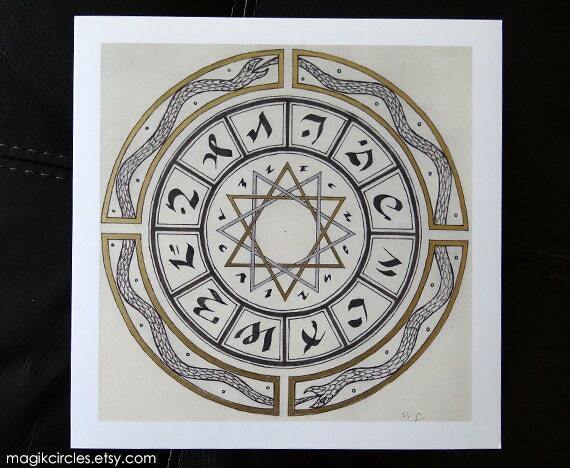 Print is hand colored with gold leaf. Hand signed by artist in pencil. 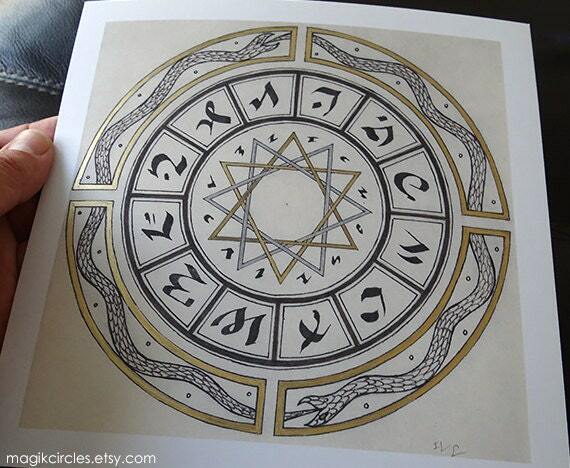 Every drawing MagikCircles creates is one-of-a-kind original art by Ive. The art is signed by the artist and placed in clear plastic and enclosed in foam and cardboard for protection during shipping.